The latest Enduro, XC & Downhill news, racing, products, insider stories. If it has to do with two-wheels, no topic is off-topic for co-hosts Jonathan Lee and Steven Lewis. 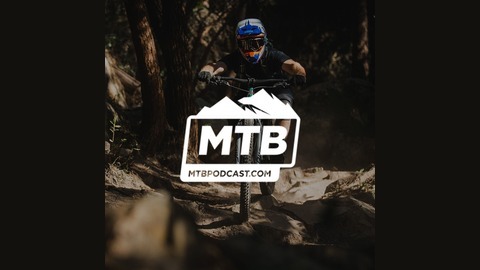 Dialed Health's Derek Teel joins Jonathan for a discussion on modern geometry, mixed wheel sizes, a a deep dive on nutrition, weight management and strength training for mountain bikers. Enjoy! –––––––––––––––––––––––––––––––––––––– Topics covered in this episode: • Dialed Health: https://dialedhealth.com/ • Derek’s Free Core Training Program: https://dialedhealth.com/programs/no-equipement-core-workout• Derek’s Total Body Dumbbell Program: https://dialedhealth.com/programs/total-body-dumbbell-workout • Pinkbike Fantasy Leagues: https://www.pinkbike.com/contest/fantasy/enduro/ • Cape Epic thoughts • Yolanda Neff is a downhill racer!? • Are mixed wheelsize bikes the next thing? • EWS thoughts • Updates from the XC world • Payson McElveen's White Rim Record • New Rockshox Suspension: https://www.pinkbike.com/news/first-ride-rockshoxs-updated-lyrik-and-new-deluxe-shock.html • New Race Face cranks: https://www.pinkbike.com/news/race-face-launches-its-new-next-sl-crankset.html • Santa Cruz Megatower: https://www.pinkbike.com/news/first-ride-santa-cruz-megatower.html • Stumpjumper EVO • How to get rid of back pain on the bike • How to maintain the SB100 Switch Infinity link • Yoga for MTB riders • SRAM Eagle AXS thoughts • How to lose weight like a cyclist • A guide to macro and calorie counting • High carb vs. low carb • Carb cycling and nutrient timing • A guide to periodized training • How to fit in strength training with cycling • Strength training exercises for MTB athletes • Is strength training cross-training? • How to manage a caloric defecit • The Bontrager ION 200RT and Flare RT light set: https://www.trekbikes.com/us/en_US/equipment/cycling-accessories/bike-lights/bike-light-sets/bontrager-ion-200-rt/flare-rt-light-set/p/23710/?colorCode=black –––––––––––––––––––––––––––––––––––––– The MTB Podcast is presented by Worldwide Cyclery, the online retailer for serious mountain bikers. 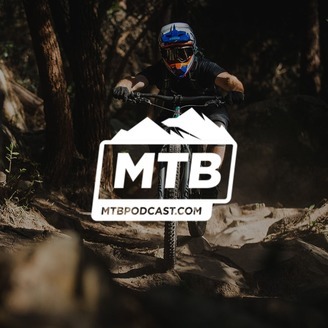 Head over to www.MTBpodcast.com/store/ to get your parts, accessories and MTB Podcast swag.